David Sedaris's beloved holiday collection is new again with six more pieces, including a never before published story. 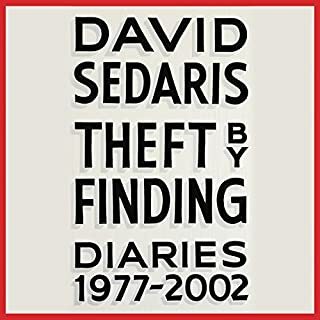 Along with such favorites as the diaries of a Macy's elf and the annals of two very competitive families, are Sedaris's tales of tardy trick-or-treaters ("Us and Them"); the difficulties of explaining the Easter Bunny to the French ("Jesus Shaves"); what to do when you've been locked out in a snowstorm ("Let It Snow"); the puzzling Christmas traditions of other nations ("Six to Eight Black Men"); what Halloween at the medical examiner's looks like ("The Monster Mash"); and a barnyard secret Santa scheme gone awry ("Cow and Turkey"). No matter what your favorite holiday, you won't want to miss celebrating it with the author who has been called "one of the funniest writers alive" (Economist). If you're not ready for Department Store Christmas Carolers or Mall Santas, plug Holidays On Ice into your ears. Sedaris generally does an excellent job of pointing toward the madness of the holidays, without feeling like a Grinch. The opening story "The SantaLand Diaries" is about Sedaris working in a Department Store as an elf, and if you've ever experienced a certain frustration (along with Charlie Brown) about the commercialization of Christmas, or Christmas being pushed on you, this story is a can't miss. The rest of the stories weren't nearly as much fun for me. "Seasons Greetings" and "Christmas Means Giving" in particular ended felt overly mean and cruel. That said, others, like "Dinah, The Christmas Whore," and "Six to Eight Black Men" were genuinely amusing. I wouldn't call "Monster Mash" fun, but it was incredibly well written. I suspect, like "A Christmas Carol," I'll make listening to "The SantaLand Diaries" and some of the stories an annual tradition. What a tradition-- right up there with "It's a Wonderful Life," "A Christmas Carol," and "Christmas Vacation". Many Christmas stories are sugar sweet, but, if you like a little spice with your sweet, include David Sedaris in your yearly holiday experience. "The Christmas Elf' is one of the funniest, most irreverent, and most memorable of listens. 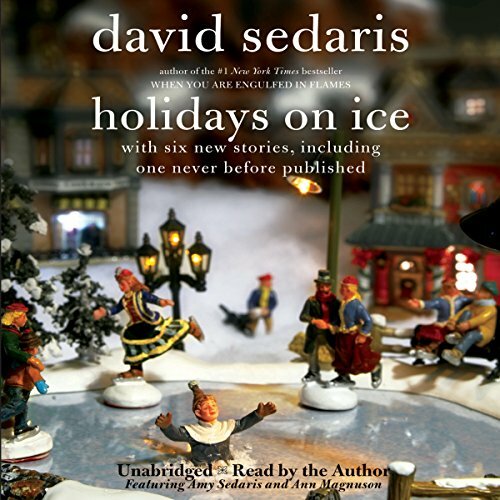 Sedaris may not be for everyone, but if you sometimes appreciate the cynical side of holiday cheer, try this. And do it for his absolutely unique, creakie little voice! I had tickets to see David Sedaris and I was brushing up on some of his older books to refresh my memory beforehand. As always, a delightful listen. I've read all of his books, but I much prefer listening to him read them. The very best part of this book is that he sings in the voice of Billie Holiday. It's one thing to read the story and the words say, I sang a commercial jingle in the voice of Billie Holiday. It's a whole other thing to actually hear him sing a jingle like Billie Holiday. Brilliant!!! 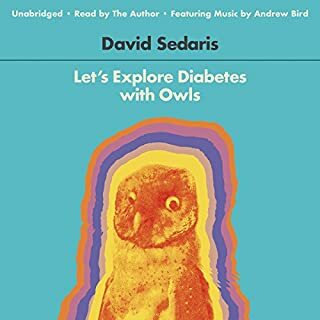 I'm a huge fan of David Sedaris and would recommend all of his books. And if you have a chance to see him perform, even better. Not only is he funny, he's also very nice. When he signs your book, he looks directly at you and asks you questions, then writes something personal just for you. When I saw him recently, he stayed and signed books until one in the morning. He looked exhausted, but he was gracious and engaging. Santaland story is best, the rest-meh. I love David's storytelling and voice. However, after the Santaland story, the rest of this was not up to par. The Christmas letter story was downright painful to listen to-just too harsh. A live performance that was recorded was good. All in all, not the greatest of his collections, I'm sorry to say. If you could sum up Holidays on Ice in three words, what would they be? David is a great story-teller and is self-deprecating and proud all in one go. These stories are great, but they are not all new. They have been in other publications. 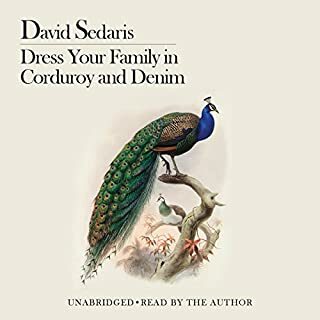 The stories are funny but some a bit cruel which makes it a little hard to listen to - but if you like Sedaris, it's VERY Sedaris. I'M GOING TO HAVE YOU FIRED!! Santaland Diaries is one of the funniest holiday routines ever. I like my comedy dry, so keep that in mind. This used to play every year on NPR on Christmas Eve, so they approved. If you don't like your comedy dark, you may not like this and especially the rest of the stories which get very dark. If your from JASPER'S BREATH, KENTUCKY, collect PRE-COLUMBIAN SOFA BEDS, or eat a lot of INDUSTRIAL STRENGTH LASAGNA you might want to skip this. I also loved 6 to 8 Black Men, Let it Snow, Us and Them and Christmas Means Giving. As the title proclaims I love Sedaris. I find his humor engaging and insightful. I will take on anything with his name on it. Lucky for me, his books have been wonderful. He is subtle and droll. I do not know who to compare him to. Try one of his books. I think you will love his stories. He reads his own material. He has an engaging voice and is one of the few who I think are able to read their own material to good effect. Usually my heart sinks when I see that the author is reading the book. 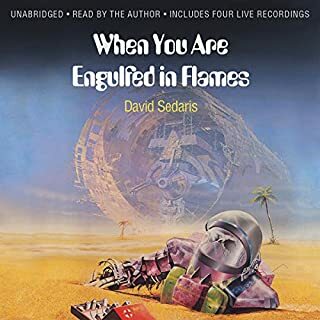 Not so with Sedaris. His reading is part of "the act." I don't enjoy jolly ho-ho Christmas, but still I found these stories mean. 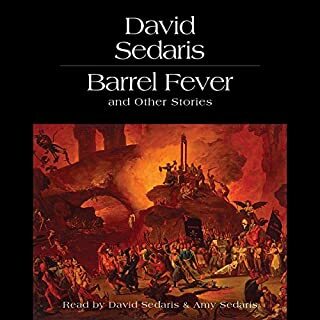 And generally I like Sedaris. Eventually I just stopped listening.